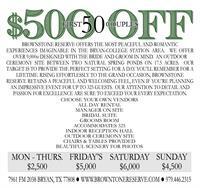 BROWNSTONE RESERVE offers the most peaceful and romantic experiences imaginable in the Bryan-College Station area. 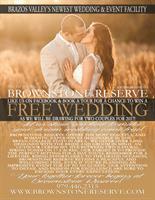 We offer over 9,000sf designed with the bride and groom in mind. An outdoor ceremony site between two natural spring ponds on 17.5 acres. Our target is to provide the perfect setting for a day you’ll remember for a lifetime. Rising effortlessly to the grand occasion, BROWNSTONE RESERVE retains a homely and welcoming feel, even if you’re planning an impressive event for up to 300 guests. Our attention to detail and passion for excellence are sure to exceed your every expectation.